Heros are not products of emotional judgement. They are products of articulate reasoning and critical analysis; hence, the man who must wear the toga of a hero has to distinguish himself. Even then, rendering valuable services to the society does not make one a hero instantly. Because heroism is a legacy that endures. It takes time before the society confers it on leaders. Most leaders are proclaimed heroes after they quit active public life or when they have gone the earth beyond. Only few people have been genuinely acclaimed heroes in their lifetime or while still active in service of the society. But just like the hardworking student knows that success is imminent, the dedicated and honest leader Dr Orji Uzor Kalu is convinced wiinthin himself and every honest Nigerian is surely also convinced about his place in history. It was the late sage, Dr Nnamdi Azikiwe who once said “history will vindicate the just”. It is indeed regrettable that the interest of some politicians in this country is only to manipulate the body politics and throne of political power in order to maximise petty personal ends or parochial sub-group ambitions to the detriment of peace and the corporate interest of Nigeria. This is exactly what Dr Orji Uzor Kalu preaches against that made him the enemy of the never-do-wells and political window-dressers in Abia state government and politics. I have strong conviction that Abia North and Nigeria as a whole shall be a better place for us all if we all recognize the senatorial potentials of Dr Orji Uzor Kalu and elect him as the SENATOR representing Abia North. The amiable leader is an ardent student of Abraham Lincoln who during his second inaugural address to American people noted that he leads America “with malice towards none, with charity for all, with fairness in the right, as God gives us to see the right”. 2. The need for peace and the unity of Nigeria which has remained paramount in his activities nation wide. 3. The issue of sychophants and praise singers who misadvise government for personal gains. 4. A call for Abiola’s release and clemency for alledged coup plotters. 5. Support for rotatory presidency to consolidate the unity of Nigeria and the faith of the people in their country. 6. Call for discouragement of ethnic and sectional politics. 7. Need to institute a lasting and sustainable democracy in Nigeria. One important question one should ask is, where were some of the present set of coward politicians masquerading themselves today as nationalists when Dr Orji Uzor Kalu were confronting Abacha not to succeed himself and joining issues with him on very sensitive national matters, which at that time attracted alledged accusations of coup plots andother times, instant execution. 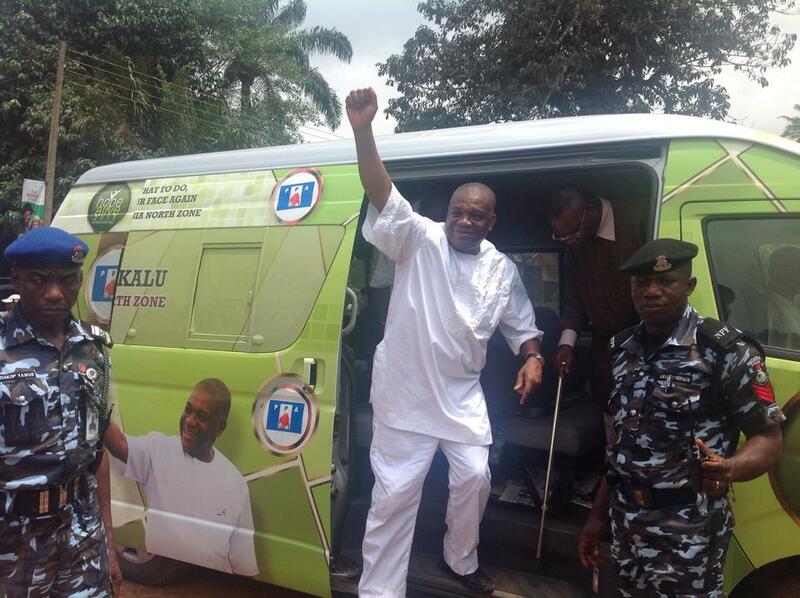 I ink it will be a show of gratitude to commend the efforts of Dr Orji Uzor Kalu who have genuinely and sincerely been on the side of the people always, whether as leader or follower without minding the risks and sacrifices involved. The only way to show gratitude to him now is to popularly support and elect him the SENATOR representing ABIA NORTH senatorial zone.